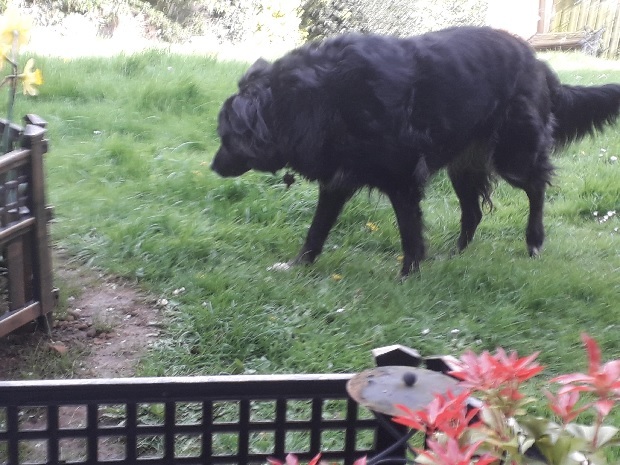 25/10/18 Bella has gone to her new home! 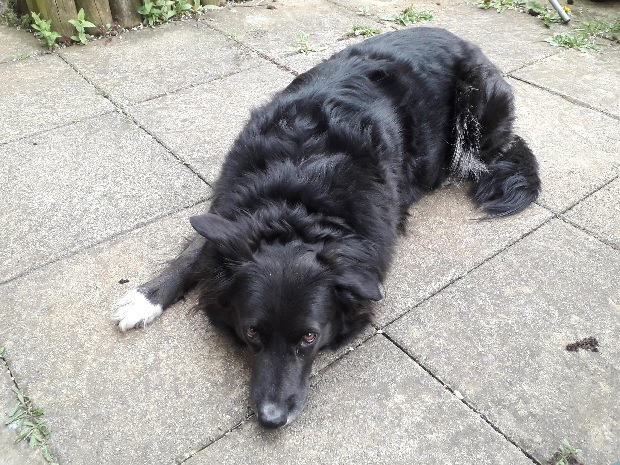 True to her name, Bella is a beautiful 8 year old large Collie Cross girl who came into the Oldies Club dog rescue because her owner was having to work very long hours. Bella is in an Oldies Club foster home in Northamptonshire, waiting for someone to offer her a new home. A very good girl in foster: Bella settled really well within the first week at her foster home. Can be left: Bella is quite happy to be left for up to 4 hours. She would cope fine with living with a part-time worker but her preference would be to have company for most of the day. 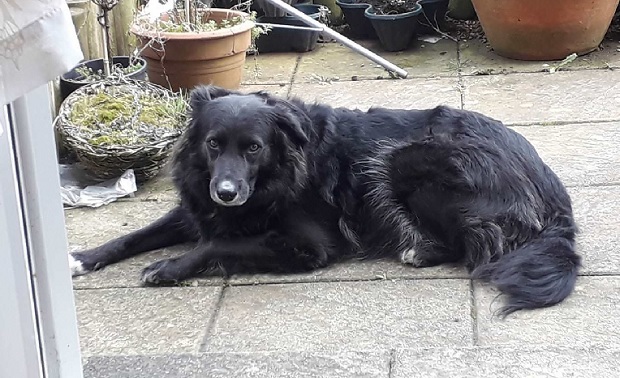 Choosy about dog friends: Bella has previously lived with another dog, however she can be unpredictable around other dogs, especially when she is on the lead, so a home where she is your only dog would be best for Bella. Her previous owner told us that she will ignore other dogs if she is busy playing with her ball, but other dogs are not allowed near her ball! Needs a home without cats: Bella doesn’t like cats. 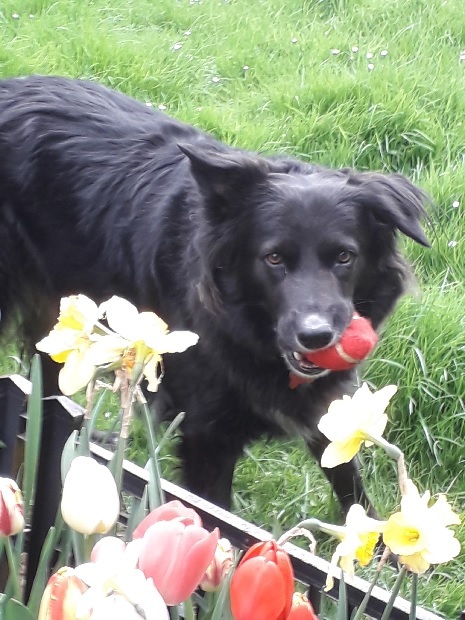 Could live with older children: Bella has been around children previously and since coming into foster she has been fine about greeting children when out walking. She should be happy to live with kind older children who will play in the garden with her and also understand the needs of an older dog. Loves getting out for a good walk: Bella gets very excited about going for a walk and has been enjoying going out for up to an hour twice a day. She is fairly well behaved but can pull quite a bit and is very strong. Her recall is OK. Bella wears a harness as she will slip out of her collar. Good in the car: Bella is a good traveller but doesn’t like being put in a cage. When you arrive at your destination, she will try to dash out of the car when you get her out. Bella’s favourite pastimes: She loves playing tug with her toy and she enjoys being chased when she has her ball. She loves to be outside in the garden. Bella’s dislikes: She doesn’t like the vacuum at all, nor the hair dryer, and will try to get away from them. 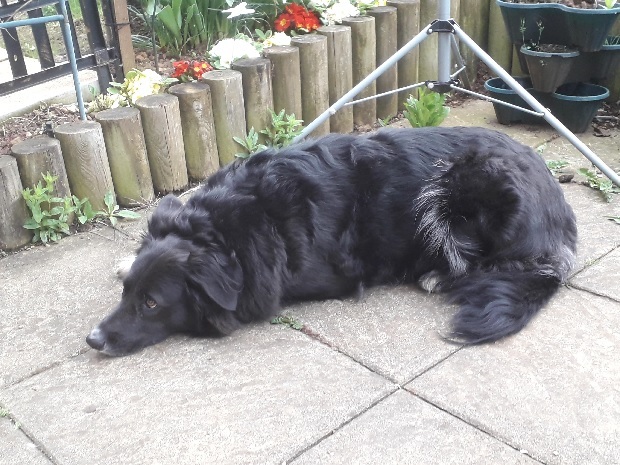 Bella’s ideal new home: Bella would love a home with people around most of the time, where she has a large garden to enjoy, and with someone who will play with her. Health notes: Bella is neutered, vaccinated, microchipped has been wormed and flea treated. She has no major health issues, other than sometimes having conjunctivits, but she has had treatment for that. 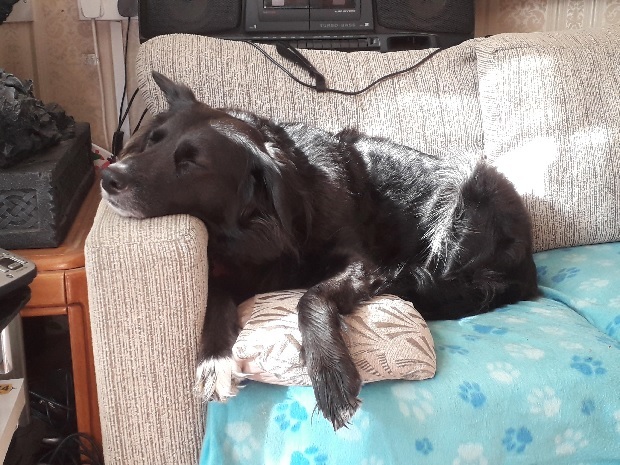 Bella can be rehomed anywhere on the UK mainland, subject to a satisfactory home visit, but note that you will be required to travel to the foster home to meet her.